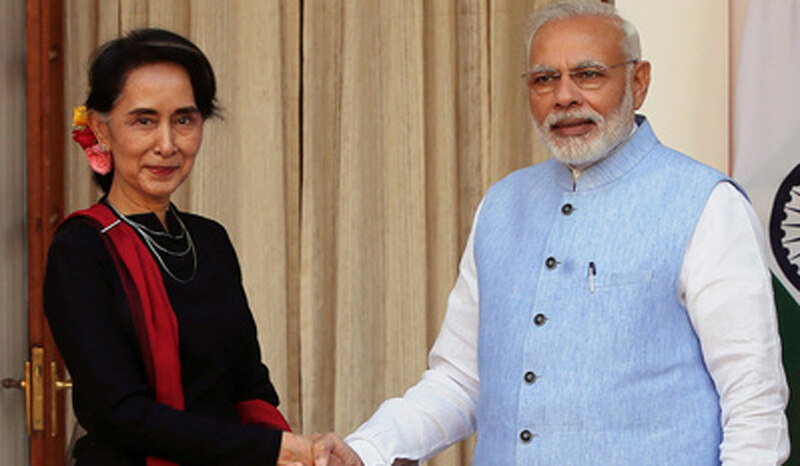 India and Myanmar have signed 11 Memoranda of Understanding (MoUs) after Prime Minister Narendra Modi held wide-ranging talks with Myanmar’s State Counsellor Aung San Suu Kyi in Nay Pyi Taw. Draupadi Murmu, Governor of Jharkhand, has given her assent to the Jharkhand Religious Freedom Bill, 2017. The state government will issue notification on the Religious Freedom Bill, after which it shall become an Act. Jharkhand is now the seventh state in the country to have an anti-conversion law. Other six states are Maharashtra, Chhattisgarh, Odisha, Madhya Pradesh, Gujarat and Himachal Pradesh. The Bill seeks to bring strict anti-conversion laws under which forceful or allurement induced religious conversion will be non-bailable offence. The Union Government as part of its labour law reforms has undertaken an initiative to rationalize 38 Labour Acts by formulating 4 labour codes viz Code on Wages, Code on Social Security, Code on Industrial Relations and Code on occupational safety, health and working conditions. The codification of labour Laws will remove multiplicity of definitions and authorities to facilitate easy compliance without compromising wage and social security to workers. The Ministry of Health and Family Welfare has launched two new free contraceptives- Antara and Chayya in 10 states under Mission ParivarVikas, a central family planning initiative. The 10 states are- Uttar Pradesh, Madhya Pradesh, Maharashtra, Rajasthan, Karnataka, Haryana, West Bengal, Odisha, Delhi and Goa. Antara is an injectable contraceptive, effective for three months whereas Chayya is a contraceptive pill, effective for one week. The National Institution for Transforming India (NITI) Aayog has launched National Nutrition Strategy aimed at ‘Kuposhan Mukt Bharat’. It intends to bring nutrition to the central focus of the National Development Agenda. It lays down a structure for targeted action to address India’s nutritional needs. The Union Ministry of Human Resource and Development (HRD) has launched Diksha Portal (diksha.gov.in) for providing digital platform to aid teachers to learn and train themselves for which assessment resources will be available. The People’s Bank of China (PBC), the central bank of China has banned individuals and organisations from raising funds through initial coin offerings (ICO) declaring that the practice constitutes illegal fund-raising. ICO is an unregulated means of crowd funding for projects through the medium of cryptocurrencies such as Bitcoin,DASH, Ethereum, Monero, Litecoin, Z-cash etc. The right of ownership or royalties of projects is offered to investors in the form of digital coins in exchange for legal tender or other cryptocurrencies.